Jennifer joined Dow’s Packaging & Specialty Plastics as the Sustainability and Advocacy Manager in early 2018. In this role she collaborates with the entire value chain to promote and improve the sustainability value of plastic and packaging. Her work includes serving on committees for the American Chemistry Council’s Plastics group, the PLASTICS Industry Association, Sustainable Packaging Coalition/GreenBlue, and others. She also support our supports global efforts on marine debris, including collaborating with the Ocean Conservancy and others. Before joining Dow, Jennifer was a Senior Research Scientist for HARC, a sustainability research hub, where she led the Environmental Science and Energy Efficiency Programs. Prior to joining HARC, she served as the Deputy Director for the Renewable Energy and International Law (REIL) Network, a DC-based international think tank for clean energy and climate change law and policy. While with REIL, Jennifer co-authored research on how international investment law affected investments in clean energy, which was published by Yale. 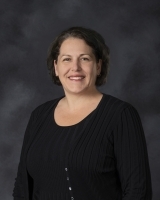 Prior to REIL Jennifer was the Vice-President of Applied Environmental Solutions, a consulting firm focusing on addressing soil and groundwater contamination. Jennifer earned her Master of Environmental Management Degree from Yale University. She is also Project Management Professional certified.